This Clip Whip used to aid in simultaneous ignition of four rocket motors. Clips are copper, they have flat surfaces (no teeth) for optimal igniter contact. Joints are soldered. 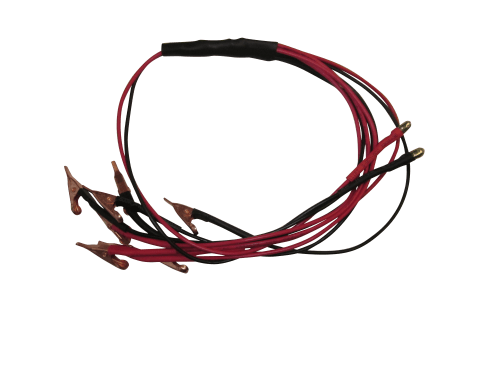 Heat shrink tubing secures all joints, making this a durable product. Complete cable harness assembly is approximately 16" long. The color-coded wires help avoid mistakes.